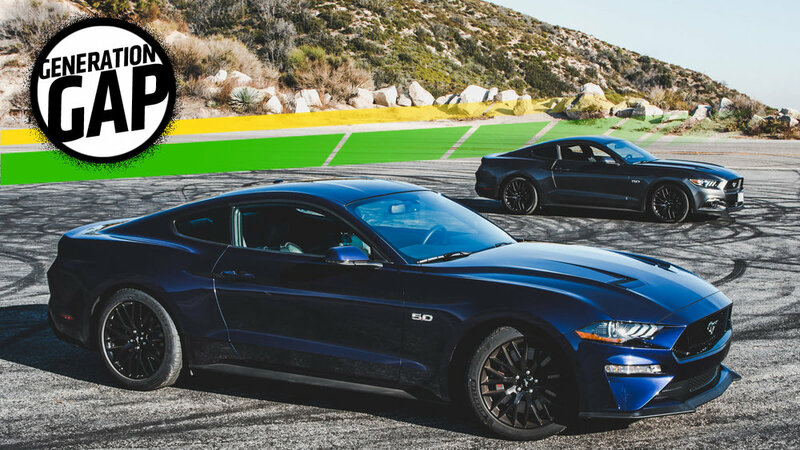 The 2018 Ford Mustang GT let out a glorious, guttural belch as I rolled into the gas through a long sweeping turn. There was nothing else on the road but tire marks and tumbleweeds until I caught a twinkle in the rear-view mirror: another Ford Mustang GT, this car’s direct predecessor. If that had been a scene in a bad movie, I probably would have grumbled something like “this should be interesting” without taking the toothpick out of my mouth before blasting into a gear-shifting montage that culminated in an explosion.